Powered by dual 18650 batteries, the Smoant Charon TC 218 Box MOD supports a maximum 218W output power. The high-tech ANT 218 chip provides the Charon mod with a stable performance for vapers to enjoy. The bigger fire button allows for an easy operation to occur. Covered by high quality leather, the Charon is soft and comfortable in hands. Compact yet functional, the device also features low resistance protection, over-time charging protection, overheating protection and reverse polarity protection. All these design aim to bring you a pleasant and safe vaping experience! 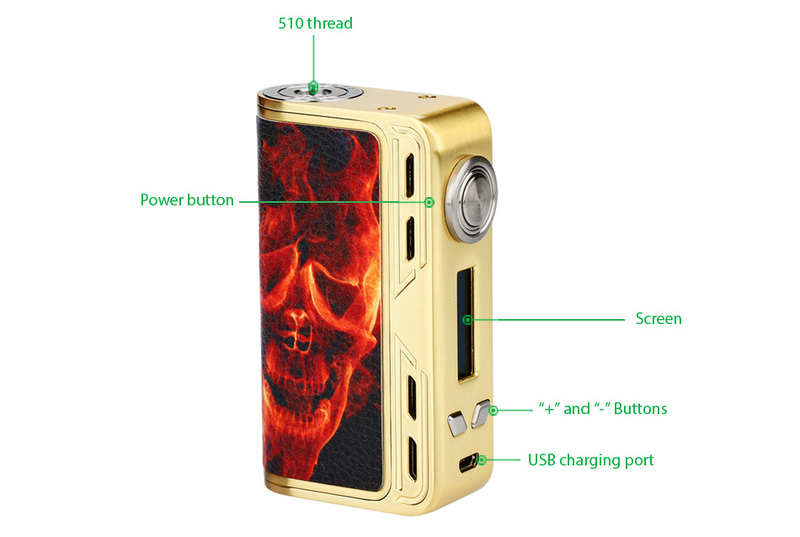 Please note the Smoant Charon mod requires 2 x high amp 18650 batteries to operate. To purchase click here.